Don’t allow legal murkiness to harsh your mellow when it comes to advertising in the cannabis industry. Although it’s true that differing federal, state, and local laws have tempered the digital advertising pool, there are some clever tactics to make digital marketing successful in the budding medical marijuana industry. Social media giants such as Facebook do not offer advertising packages for cannabis businesses, and neither has Google’s AdWords and other big PPC marketing options. This is largely due to cannabis being illegal in some states, marginally legal in others, and legal for recreation in still fewer states. This doesn’t mean that digital marketing is impossible for medical marijuana dispensaries. 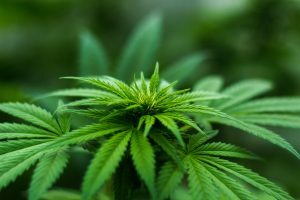 What Is a Good Digital Marketing Strategy for Medical Marijuana? An industry that is precluded from using some of the ‘gimmes’ needs to look outside the box. Invest more heavily in public relations, content marketing and SEO managers, and email campaigns. Build relationships with industry heavy-hitters like Leafly and Weedmaps, who can drive traffic to your online presence. Concentrate on building good content and access to industry influencers. In all likelihood cannabis looks to be legal on the federal level in the next few years. At that point the industry will boom, and those in the industry who stand to gain the most during that time are businesses with a well-established online presence, featuring great content that is connected to other influencers within the industry. Focusing now on smart SEO, successful email campaigns, and meaningful customer engagement online will only cement success in the future of digital marketing in the cannabis industry.